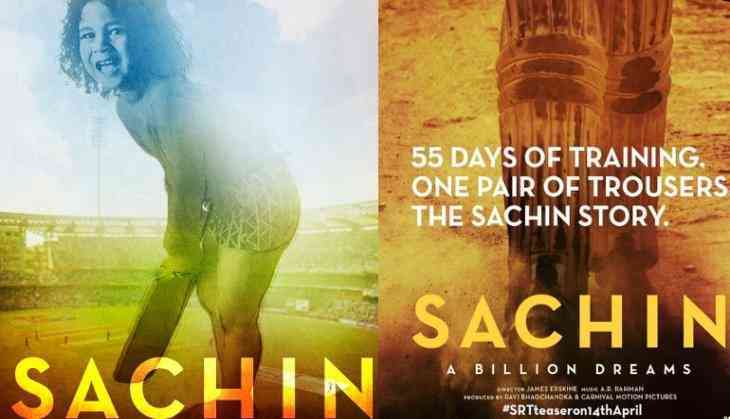 'Sachin: A Billion Dreams', a film based on the life of Sachin Tendulkar, will have some of the cricketing legend's 'private personal videos', which only his family has had access to till now. 'What we've been able to add are my private personal videos, which nobody has access to except the family. I discussed it with my family and asked 'Are we ok sharing this? ', because all my well-wishers would want to see something more than what happened for 24 years on the field,' Tendulkar said on the CNN-News18's show 'Now Showing'. 'I've been myself (in the biopic) because that is how people have known me for a number of years. I don't have to come here (in the biopic) and change suddenly. I have to be myself,' he added. '(Co-producer) Ravi Bhagchandka said we are not going to ask you to act, so I said, 'Ok, I'll consider, but let me be in my space and think about it'. When I'm sure, I'll come back to you.' It took me eight months,' he said. Produced by Bhagchandka of 200 Not Out and Shrikant Bhasi of Carnival Motion Pictures, the film is being helmed by James Erskine. The episode will be aired on Saturday. READ NEXT >> Is Sridevi's fee getting too high?